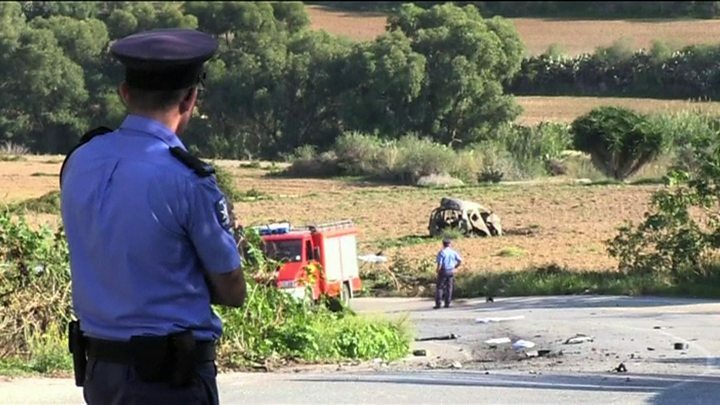 The killing of investigative journalist Daphne Caruana Galizia in a car bomb has left Malta in shock. On one hand, it caused alarm that organised crime and political vendettas may have spiralled out of control. Caruana Galizia, 53, had relentlessly accused various Maltese politicians and other officials of corruption in her popular Running Commentary blog, and had been sued several times. But her death near her home in Bidnija, a village in northern Malta, on Monday also represented the loss of "one of Malta's most important, visible, fearless journalists", in the words of former Home Affairs Minister Louis Galea. In a career spanning more than 30 years Caruana Galizia was a pioneer of investigative journalism in Malta, said the Malta Independent newspaper. "She was very reserved, almost shy, but had the strongest of standards on personal integrity, and held herself to those standards," a close friend of hers, lawyer Andrew Borg Cardona, told the BBC. Born in Sliema on the northeast coast of Malta in 1964, Caruana Galizia grew up in "normal, middle-class" family, says Mr Cardona. Her father had a lift services business and briefly entered politics as a liberal. She was a voracious reader and got an archaeology degree from the University of Malta. 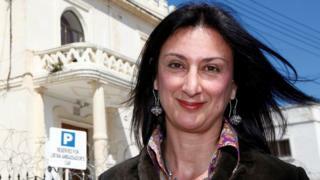 Before launching her blog Caruana Galizia was a regular columnist for The Sunday Times of Malta, then for The Malta Independent. She also wrote and edited lifestyle magazine articles, such as "fluffy food and drink features", Mr Cardona said. "She made a living out of that", he said, adding: "the blog didn't pay the rent". But she became known as one of Malta's most influential writers, says Herman Grech, Times of Malta online editor. "An impeccable writer and investigative journalist" is how he describes her. Caruana Galizia's blog mainly attacked ruling Labour Party politicians and their supporters, but sometimes also officials of the centre-right Nationalist Party. She alleged that the wife of Maltese PM Joseph Muscat was the beneficial owner of a secret Panama company used to channel funds from Azerbaijan's ruling Aliyev family. Mr Muscat and his wife vehemently denied any wrongdoing. But after the scandal erupted he called a snap election, which he won in June. Is Malta really Europe's 'pirate base' for tax? According to the Panama Papers revelations, two of Mr Muscat's close associates - Konrad Mizzi and Keith Schembri - were also involved in secret offshore business. Condemning her death, Mr Muscat said: "Everyone knows Caruana Galizia was a harsh critic of mine, both politically and personally... but nobody can justify this barbaric act in any way". "I will not rest until justice is done," he said. Caruana Galizia also criticised John Dalli, Malta's former European Commissioner, who was embroiled in a scandal over tobacco industry lobbying and lost his job as EU health policy chief. The influential Politico website called her a crusading, "one-woman Wikileaks" in her role as a whistle-blower. In December, Politico wrote that "on a good day, Galizia gets 400,000 readers, more than the combined circulation of the country's newspapers (Malta's population is 420,000)". The controversy did not end with her death. Investigators will be looking into reports in Maltese media that she told police two weeks ago that she had received threats. Opposition leader Adrian Delia - whom Caruana Galizia had also criticised - said her murder represented "the collapse of democracy and freedom of expression". "We shall not be silenced," he added, in a tweet. Meanwhile one of her three adult sons, Matthew - also an investigative journalist - castigated the police on Facebook, accusing the authorities of negligence for failing to prevent the "assassination". He called Malta "a mafia state" where "a culture of impunity has been allowed to flourish by the government". He heard the explosion that killed her and has described running to the scene to find "my mother's body parts all around me". As well as her sons, Caruana Galizia is survived by her husband, a lawyer.